Bankers integration Group was looking for a campaign that would establish them as the place to go for quick and instant vehicle financing. This campaign used print, direct mail and the web to communicate this message. OPTIMideas created a series of ideas that created a buzz in the convention. These ideas were “AMBUSH” ideas. OPTIMideas created a series of ideas that help demonstrate the fact that BIG was the “FASTEST” finance approval system. 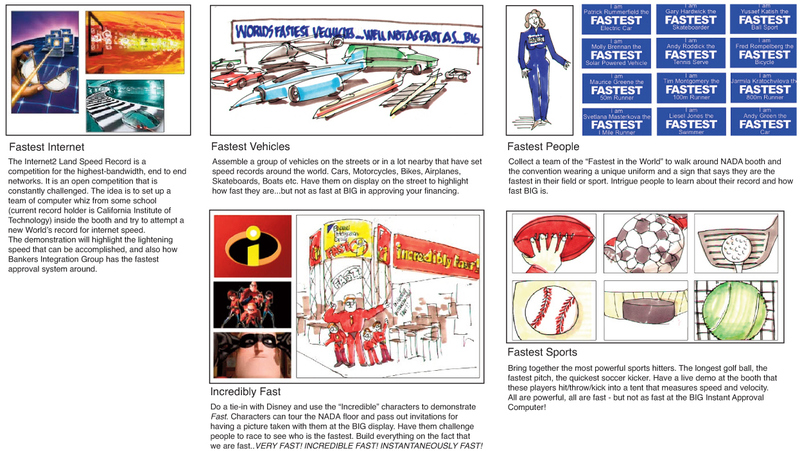 These ideas focus on the “FASTEST” concept. 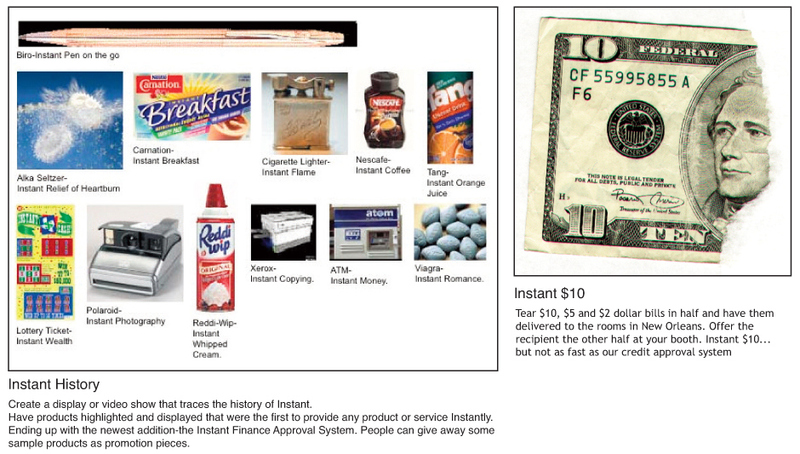 OPTIMideas created a series of ideas that help demonstrate the fact that BIG was the “INSTANT” finance approval system. 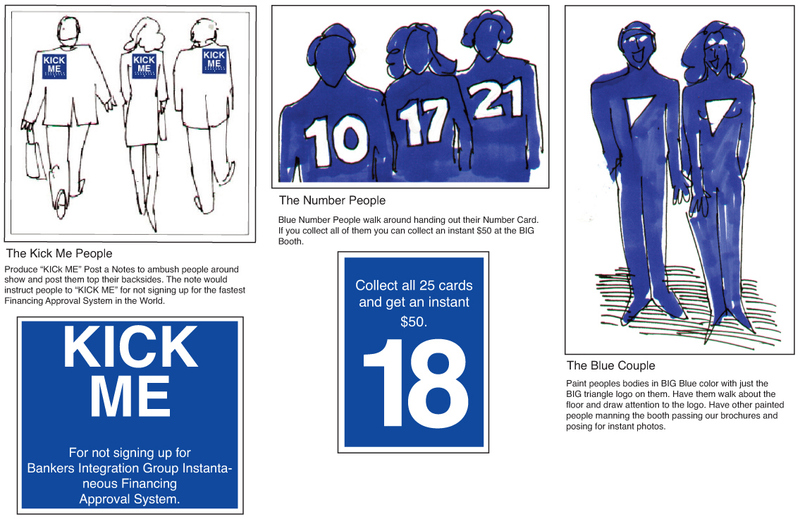 These ideas focus on the “INSTANT” concept.